1. Slice the asparagus diagonally into pieces about ¾ inch long. 2. Heat oil in a large skillet over medium heat. Add remaining ingredients. 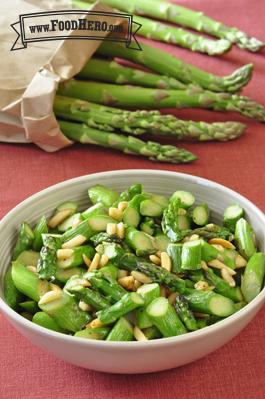 Stir and sauté until asparagus is a brighter green, 3-5 minutes. 3. Reduce heat to medium-low; cover and cook until the asparagus is just fork-tender. Avoid overcooking. Shake the pan occasionally to prevent sticking or burning.